Wise Program Uninstaller is a free, lightweight and easy to use solution for quick and complete uninstalling of unwanted Windows programs. The built-in scan engine will scan and delete all the left associated files, folders and registry items after the uninstall process, making sure the software is completely removed from your computer. Additionally, The program has a ‘Forced Uninstall’ option that can uninstall stubborn software or software with a broken uninstaller, which cannot be done by conventional means. Wise Program Uninstaller is part of Wise Care 365 - an all-in-one PC tune-up suite. 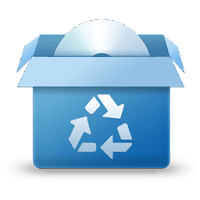 Disclaimer: Direct downloads for the lastest version of Wise Program Uninstaller 2.13.112 are provided by the official software's author, we can't guarantee safety, availability or download speed. Moreover, we don't and we won't provide any pirated/illegal versions or tools. We recommend you to avoid it as these methods can harm your device. If you like the software, buy it to support the developers. (We provide software discounts for many worldwide brands).